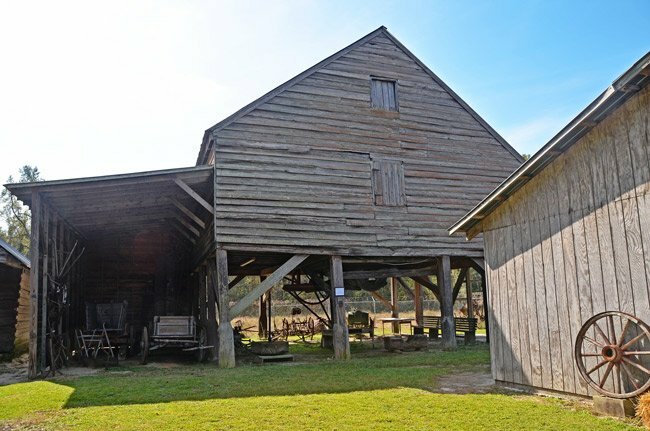 Now a museum, these historic structures in the Browntown area of Lake City serve as an exhibit of early farm life in the Pee Dee. Between 1768 and 1769 Moses Brown received three land grants that would become the farmstead known as Browntown. Moses’ sons, Robert and William, and their sons expanded the Brown property to around 10,000 acres in the early nineteenth century; together, they cultivated the land for cash crops such as tobacco and cotton and added a brick kiln, a grist mill, a sawmill, and a cotton gin. The Brown-Burrows House, seen above, was built around 1845 by Robert Brown’s son, John. The cotton gin, pictured in the below photos, is an intact building modeled for an Eli Whitney gin. 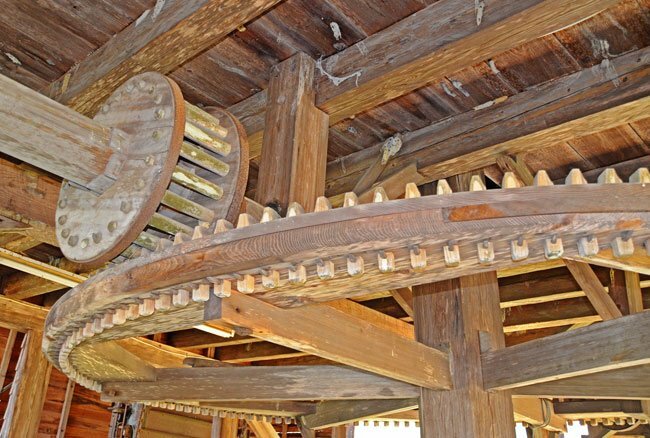 Constructed in 1842, its wooden machinery was built on site and represents the intersection of agriculture and industry. 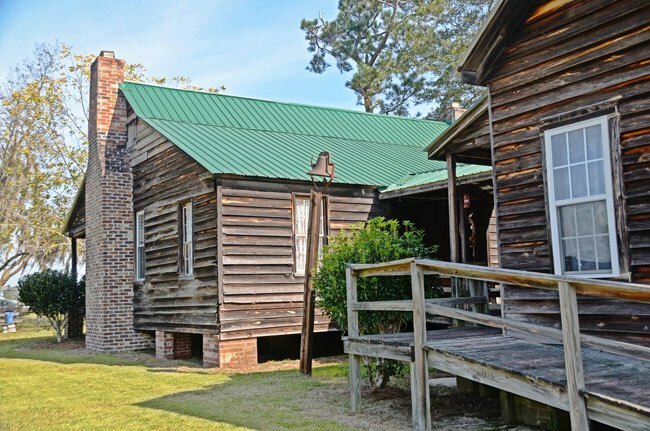 Other historic structures on the property include the Moses Brown home, thought to date from the late eighteenth century, a smoke house, an outhouse, and a tobacco barn. The museum was founded in the 1980s by the Three Rivers Historical Society, which leased the property for one dollar every five years from landowner and Moses Brown descendant Allen Brown. 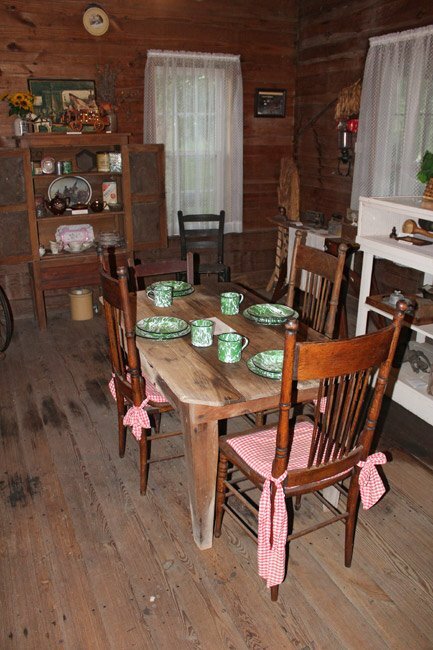 The society maintained the museum and added displays such as antique farming equipment and other related artifacts to the exhibit over the decades. However, in January of 2015, Allen and the society dissolved their relationship, and the museum now operates independently. The museum still houses the society’s donated items. Browntown is a unique collection of buildings reflecting the self-sufficient way of life practiced by several generations of the Brown family during the nineteenth and early twentieth centuries. Moses Brown and his son and grandsons were self-sufficient farmers who operated their own brick kiln, grist mill, lumber mill, cotton gin, retail and wholesale mercantile business, and school. The property nominated contains the eleven remaining Browntown buildings, including the cotton gin building, three residences, the school, a tobacco barn, and several outbuildings. Architecturally, these buildings, which include examples of both log and frame construction, reflect the building technologies of the nineteenth and early twentieth centuries. In addition, the cotton gin building, which was built on the site, is significant in the field of engineering. The buildings at Browntown are grouped in two complexes, one group adjacent to the road and the other across the fields around the cotton gin building. The rustic character of the frame buildings, the weathered wood, and the plowed fields establish a distinct rural character that unifies the complex. 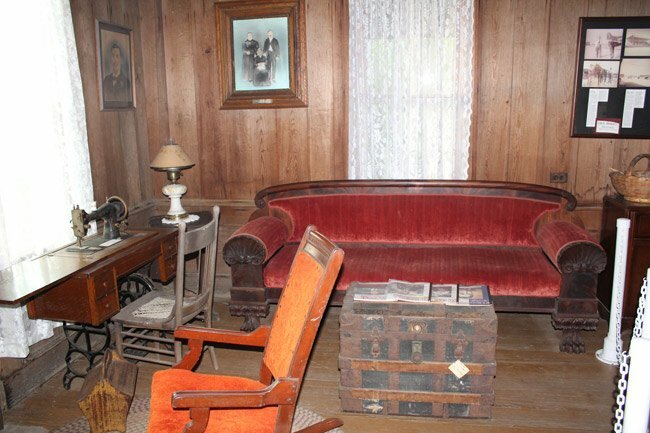 The following two photos show the interior of one of the Browntown cabins.